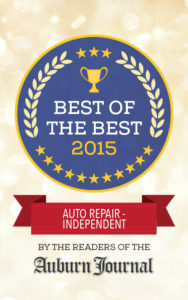 The best Honda, Acura, Lexus and Toyota service and repair facility in the greater Sacramento area. Has Your Timing Belt Been Replaced? Have your brakes been inspected? Master Technicians Inc is an independently owned and operated Auto Repair Facility located in Auburn, CA. We have been helping customers maintain and repair their Honda, Acura, Lexus, and Toyota vehicles since 1993. In addition to our growing client base here in Auburn, we also have customers travel from locations all over California, to take advantage of our affordable pricing and high quality work. We offer complete services for all Honda, Acura, Lexus, and Toyota vehicles. Unlike other repair shops, we are not “looking” for problems to repair. We want to help you keep your vehicle running as good as possible for as long as possible without breaking the bank. Our location in Auburn CA, means we are only a short drive from Roseville, Loomis, Grass Valley, Nevada City, and Gold Country. 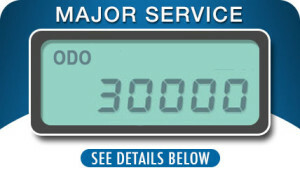 A 30K service check up is designed to address maintenance and inspection items applicable to the respective mileage interval. Generally, these items may include filter changes, fluid changes and a comprehensive visual maintenance inspection as well as other items, depending on the specific mileage interval. Most modern vehicles will have received several major service requirements at 90,000 miles. Some however, may not require some of these items (Timing Belts, for example) until the next interval of 120,000 miles or beyond. Once the major service intervals have been crossed and the required services addressed, the ongoing maintenance schedule reverts to one very similar to the original 30/60/90 schedule, with some exceptions. All of our technicians are highly trained and ASE certified.